HOW DOES SETTLING DEBT EFFECT YOUR CREDIT SCORE? HOW DOES BANKRUPTCY EFFECT YOUR CREDIT SCORE? Lets say that you owe $40,000 in credit card debt. ( Four cards at $10,000 each) Your rich Uncle feels sorry for you and says “Here is $10,000, see if you can settle some debt.” You call the card companies and offer $.25 cents on the dollar. Two of the cards accept the offer and the other two won’t settle and want 70% of their balance. You don’t have the 70% so they proceed to sue you. As far as the two that were settled, you would think doing the right thing would boost your credit score a little. WRONG. Although the computation of the FICO score is a trade secret, anecdotal reports indicate that settling a credit card account for less than the full balance may actually decrease your FICO score. That’s right, you are punished for trying to do the “right thing”. Bankruptcy stays on your credit report for up to ten years but it seems that most credit bureaus don’t hold any negative info for more than seven years. After you file, your score usually starts to creep upward. If you keep paying your car loan and mortgage after filing, this helps quite a bit. People are usually offered some low balance or secured credit cards and this helps ( if you pay them on time). A person with a 550 score at filing usually has no trouble getting to a 620 score within 12 to 18 months after filing. Beyond there the score increases unless you injure yourself by allowing any negatives to occur after discharge. FHA currently requires that you be out of bankruptcy or foreclosure for two years to be considered for an FHA mortgage. For those in foreclosure, don’t forget that a foreclosure is just as negative as a bankruptcy on a credit report, therefore filing a Chapter 13 to save the house is a wash as to your credit score, in most cases. IF MY HOUSE SELLS AT SHERIFF’S SALE FOR LESS THAN THE AMOUNT OWED, WILL I OWE THE DEFICIENCY BALANCE? Although there is a law under which the mortgage company can pursue a deficiency judgment, they almost never do so in Pennsylvania. HOW LONG WILL I HAVE TO GET OUT AFTER THE SHERIFF’S SALE? After the sale the buyer must file an action in ejectment in the Court of Common Pleas. This requires the sheriff to serve you again and there is a complaint that can be answered. The whole process can take up to six months IF you answer the complaint and still reside in the property. CAN I GO TO STATE COURT TO STOP THE SHERIFF’S SALE? Yes, but you have to have a very good reason. Call us to see if you have grounds to stay the sheriff’s sale. DO I NEED TO WORRY ABOUT A CREDIT CARD COMPANY LAWSUIT? Yes. If you have real estate or assets in your name any judgment obtained will attach to your property. The best policy is to get legal advice now and plan your strategy. If you don’t defend, you will have the judgment to deal with down the road, and probably at a most inconvenient time. 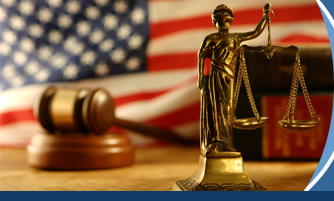 Call us if you have been served with a credit card lawsuit. HOW MUCH DOES IT COST TO FILE BANKRUPTCY WITH AN ATTORNEY? Attorney’s fees on a Chapter 7 range from $2000 up depending on details of the case. This amount and the filing fees must be paid before filing in a Chapter 7. Attorney’s fees on a Chapter 13 range from $2500 to $4500. The amount of “up front” money varies because a part of the fees can be put into your Chapter 13 plan. WHAT ARE THE FILING FEES FOR BANKRUPTCY? $274 for a Chapter 13 or $299 for a Chapter 7. DO I HAVE TO TAKE CREDIT COUNSELING BEFORE I CAN FILE? Yes, it is done on the internet or over the phone and takes about 40 minutes.